Under the direction of the University of Economics Ho Chi Minh City (UEH) pertaining to the six categories of differentiation strategy, Journal of Economic Development has passed another significant milestone in the process of restructuring toward international publication. As such, according to Decision No.619/GP-BTTTT issued on December 11, 2017 by the Ministry of Information and Communications, it now has a new title: Journal of Asian Business and Economic Studies (JABES), which officially comes into effect as of January 1, 2018. Over the last years, considerable efforts have constantly been devoted to enrich the Journal’s scientific volume for redeemed content and format reaching acceptable international standards. It is presently ranked among first-class journals by the State Council for Professor Title according to publication points and acknowledged by the ASEAN Citation Index (ACI) steering committee as one of the two representatives in Vietnam to be granted recognition out of 121 scientific journals in this database. The project on “Promoting the Enhanced Quality of JED Intended as a Scopus-Indexed Journal” approved by the Minister of Education and Training under Decision No.4265/QD-BGDDT marked a turning point in the history of its development and in its path to integrate into the world’s scientific community. Those past achievements have given rise to continuous improvement and advancement of both the form and content of such an academic science-oriented journal in accordance with widely accepted standards. Essentially, on the basis of agreements earlier reached between UEH and Emerald Publishing, by March 2018 JABES will have had its contents publicized formally under Emerald’s management, which allows for more significant global impacts. In this event, every one of the papers published in JABES must undergo a strict and comprehensive peer-reviewing process and satisfy all the standards as have been required by Emerald. Further refinements, in addition, will be made to the Journal’s Editorial Board, operating in conjunction with a later established Advisory Board. 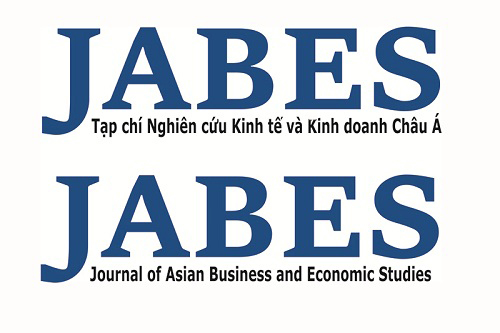 Indeed, JABES, a channel for multi-faceted discussions on economics, finance and banking, and business administration in Asia, contributes substantially to consolidating competencies of researchers and practitioners, leading economists, senior lecturers, doctoral candidates, etc. with preference given to domestic and international scientific progress as a practicable means of enhancing UEH’s value in the global community.